Following the election of Donald Trump to the American presidency, a raft of geopolitical issues have roared to the fore. From stability in Ukraine and the Baltics, to American security relations with Japan and South Korea, to the likely demise of the Trans-Pacific Partnership, numerous tenets of American regional policy are suddenly in question. Closer to home, however, Trump’s election seems to have sparked a related question of sovereignty – this time, on the domestic front. Due to any number of issues – from Trump’s trade policies, to the threat his administration may pose to civil liberties, to the outright illegitimacy with which many Americans view a Trump presidency – there has been a rapid surge in backing for the concept of California secession. Known colloquially as #Calexit, those pushing for California’s departure from the United States can suddenly point to far more individuals now offering support for splitting the most populous state from the union. To be sure, the likelihood of a successful California secession remains about as likely as Trump stewarding a peaceful reunification of the Korean peninsula. And the infrastructure pushing California’s secession movement, for what it’s worth, pales in comparison to other states, most especially Texas. 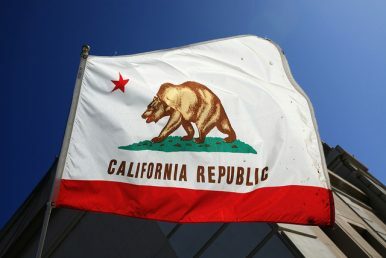 (Unlike Texas, which received recognition during the mid-19th-century from Britain, France, and a handful of other nations, no foreign countries ever recognized California’s pre-American claims to independent nationhood.) But the movement behind California’s secession – especially as it pertains to the nascent leadership – maintains a series of foreign ties that casts a continued pall over the movement. The primary organization pushing California’s secession, Yes California, is based out of Fresno, California. However, the group’s head, Louis Marinelli, spent only a handful of years living in California, and says he now lives in Russia. (Neither Marinelli nor Yes California responded to The Diplomat’s questions.) Indeed, it appears Marinelli only lived in California for a few years before uprooting for Russia; as he recently told RT, a Kremlin-backed outlet, “I could no longer live under an American flag.” Marinelli also added that he expects Russia’s support for his push to fracture the United States, comparing California’s potential secession to Moscow’s recent occupation of Crimea, and noted that he wants California’s first embassy to open in Russia. One of the primary potential financiers of the movement, Shervin Pishevar, also recently met with Russian President Vladimir Putin, and received pledges of financing for his Hyperloop venture. As it is, Marinelli hasn’t gone to great lengths to hide his affiliations with Russia, and has defended his actions by noting that “[e]verybody’s using everybody.” In a recent interview with Business Insider, Marinelli added that Yes California – which began formal secession processes this week – is willing to work with any and all potential partners: “That’s why we don’t [have] a problem with me being in Russia, for example, or signing an agreement with a group in Russia.” (Other California secession groups, however, have disowned Marinelli for his relationship with Russia.) Indeed, Yes California recently, and curiously, Tweeted about the support from foreign powers the United States received during its own push for independence. Again, there’s negligible likelihood Marinelli’s drive to wrest California from the United States will succeed, and there’s no reason to believe the Kremlin is playing any direct role in steering Yes California’s efforts. But given the Kremlin’s financing of events that bring together those who’d fracture the United States – to say nothing of Marinelli’s personal history – the cheery sheen on Yes California’s drive for independence is that much murkier, and that much stranger, than organizers would otherwise let on. succession movements in the U.S. US and EU Separatist Groups to Gather on Moscow’s DimeWill Trump Recognize Russian Annexation of Crimea?Kazakhstan Jails Another Citizen for Separatist Comments OnlineIs Vietnam Creeping Into a Succession Crisis?How Can Kazakhstan Revitalize Its Civil Society?